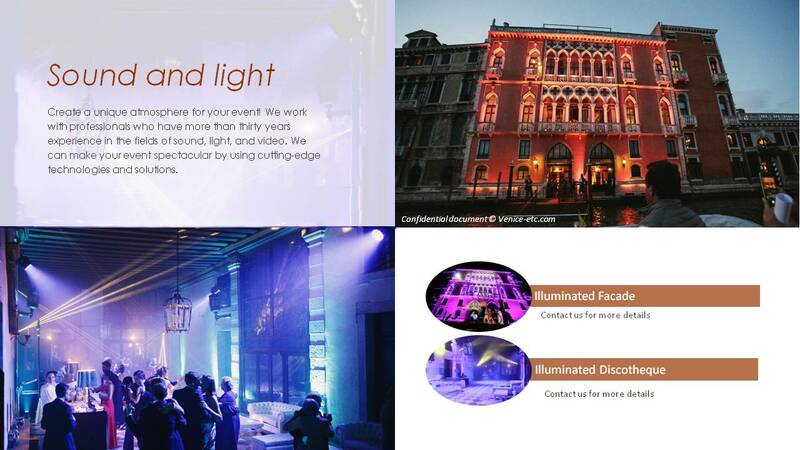 Venice-etc makes your event unique and unforgettable! Getting Married in Venice to celebrate Your Love! Our agency Wedding-planner is specialized in the organization of weddings for foreigners in love with Venice, Italy and its traditions. We organize all sorts of weddings in Venice and in its region (Padova, Treviso, Verona…) from religious marriages – Catholic, Anglican, Jewish, Orthodox, etc. – to civil and symbolic. Our mission: to accompany and to advise couples who are looking for a serious and reliable professional able to organize the wedding of their dreams, thanks to perfect coordination, within the lead times and especially, stress-free. Our very skilled staff is here to assist you in preparing your wedding in every detail. Our team has an excellent knowledge of the Venetian region and relies on a network of professionals selected for their service quality. Together, we draw up a list of exact specifications summarizing the requests of our customers. We accompany the couple during the whole period of preparations, we can be present on the day if you wish and finally, we can organize your honeymoon in the region. We offer step-by-step guidance on all your requirements for your wedding. We provide the very best to our couples, turning special wedding dreams into reality. We coordinate everything of your wedding day for a completely stress-free, unforgettable wedding experience! Each couple receives a quote completed on the basis of the requested services and the chosen location. The price of the planning and the coordination depends on the size of the wedding, the type of services requested and the chosen venue. We are at your complete disposal to examine, evaluate, discuss and advise you in order to find the most adapted solution to your desires and to your budget. You wish to get married abroad. You’re thinking of Venice, a city that symbolizes love and romance, to celebrate your union. You know that a marriage outside your country of residence is possible, but you don’t know how to take all the administrative and organizational steps for such an event over the distance. Here is a short, practical guide that answers some of the main questions you might have in the first place. No, getting married abroad is not complicated and is not just for the elite. In addition to originality, a wedding abroad also has many advantages. Follow this guide! Will my marriage abroad be recognized in my country? Even if the actual figures are difficult to verify at the national statistics offices, it’s undeniable that marriage abroad is trendy! The practice of getting married abroad is becoming accepted in many countries. In the United Kingdom, for example, one couple in four chooses to marry abroad. It is possible to say “yes” abroad and have the wedding legally recognized in your country of residence, especially if you are part of the European community, in which case, the administrative procedures are simplified. In the city Venice, it is now so common for foreigners to get married that a webcam service has been set up to allow guests who can’t be at the ceremony to follow remotely through a live broadcast. What are the administrative steps? 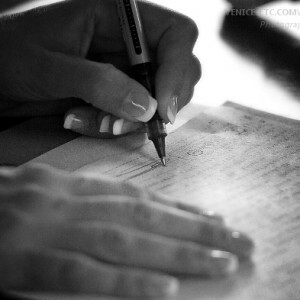 First, you must file a “Nulla Osta”, a certification of the capacity to marry, with the consulate. Depending on your country of residence, you will be asked by the local government to register the marriage at the Italian local prefecture. The average time to complete all the formalities is 1 to 2 months. I will marry civilly abroad. Is it also possible to marry religiously? Yes, you can get married religiously in Italy, but, be aware that the local curies are often quite demanding about your religious background and your marriage preparation. How can I plan the event remotely? The wedding planning profession has developed at high speed in recent years. On the internet, you will find a number of specialists and destinations that will help you create the wedding of your dreams. 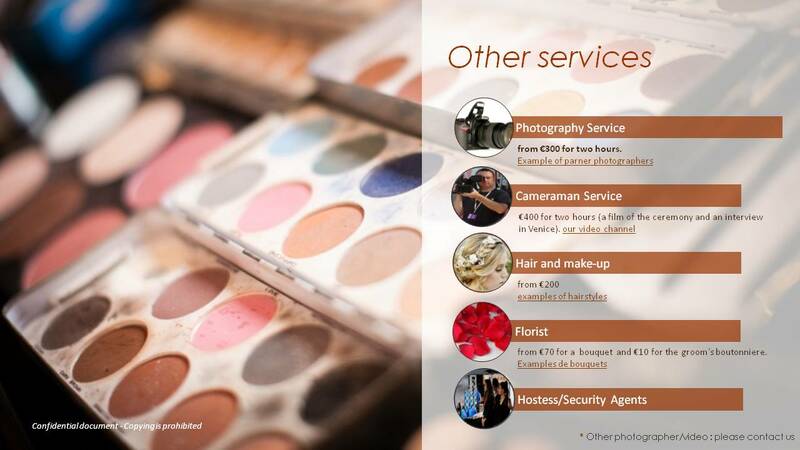 Contact a wedding planner, preferably a local agency. Check its references: How many weddings done a year? What testimonies were received? Is the agency registered (I.VA code for Italy)? With minimal research on the internet you can find essential information about your wedding planner and validate their references and experience. What is the cost of a wedding abroad? This obviously varies, depending on the desired ceremony and the number of guests. However, more and more people who choose to marry abroad find they spend less. Indeed, you will find it easier to organize a wedding with only a few, intimate guests abroad then in the case of a wedding in your hometown, where you would feel obliged to extend more invitations to acquaintances. You can also plan to honeymoon in the same destination country, hitting two goals in one! An additional variable in the cost of planning a wedding in Venice will be the period in which you plan to marry. During the low seasons, hotels and restaurants offer special rates that will allow you to save substantially. How long a period of time will it take to organize everything? Allow at least three months between first contact with your wedding planner and the big day. How do I transport my wedding dress on a plane? Most airline companies today will accept you keeping a wedding dress in the cabin. This will solve the problem of a dress crumpling. Otherwise, check with your wedding planner if there is a dry cleaner open and available the day before the ceremony to clean and press your dress. 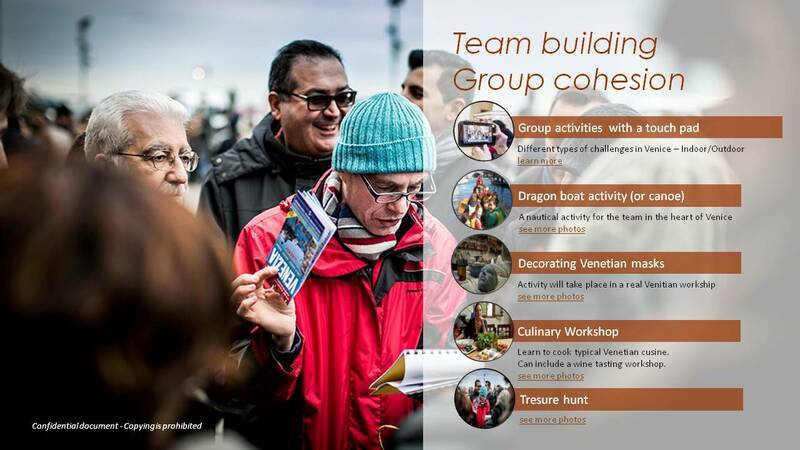 What should you do in Venice as you count down to the big day? Allow half a day with the wedding planners for final preparations and meetings with providers. Then, outside the big day, enjoy your stay by exploring the city with your family and guests. Your wedding planner can help organize various activities. What a remarkable experience for you and all those who have accompanied you! 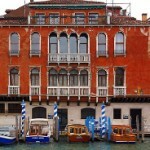 What are the main reception venues in Venice to celebrate a marriage? For a small wedding with fewer than fifteen guests, you can turn to restaurants that offer private spaces. For larger weddings, it is possible to rent a villa or even a palace if you have the budget. 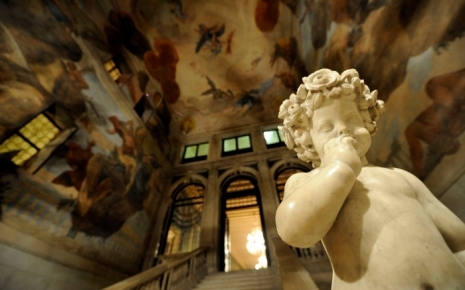 Reserving a palace in Venice costs an average of € 5,000 to € 15,000 the evening. How can you summarize marriage abroad in a few words? Original. Exotic. Intimate. A discovery. Honeymoon. Controlled budget. Shared experience. Still not convinced? 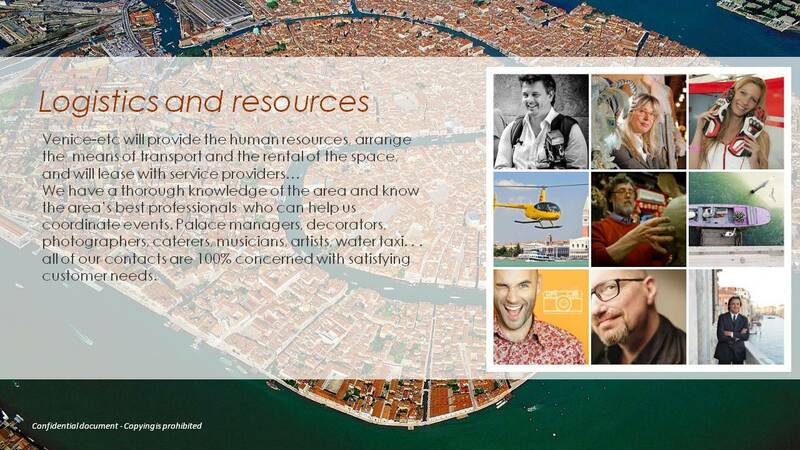 Don’t hesitate to contact our Venice-etc agency. We coordinate Everything of your Wedding Day! 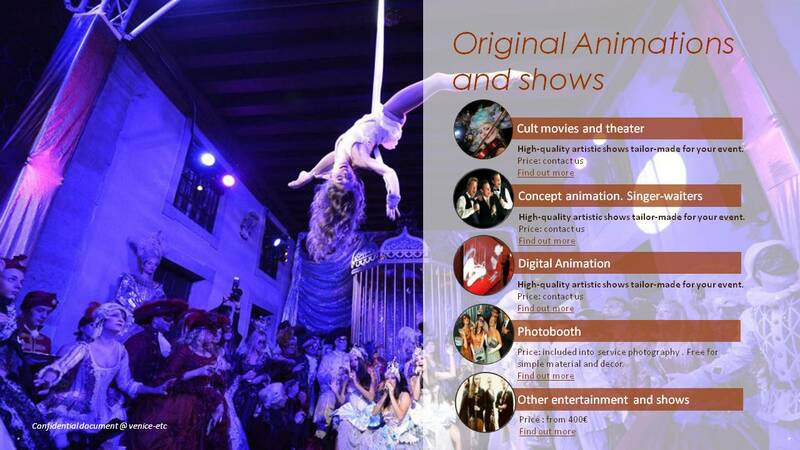 There is a huge range of exclusive reception venues in Venice and its region. We can organize entertainment for your party. We look after your guests during their stay in Venice. We help you to find the right wedding venue! We offer you a choice of various ceremony places. The wedding ceremony venue is perhaps the most important element to consider as it will define the desired mood and tone of the entire event. The ceremony takes places in the town hall of Venice, in the Palazzo Cavalli, a magnificent historic palace of the fourteenth century. It is composed of three levels in Renaissance style, it occupies a privileged position on the grand canal and offers a spectacular view on the Rialto bridge. An elected municipal will celebrate the marriage. Venice-etc offers an interpreter for the entire duration of the ceremony. The ceremony lasts about 30 minutes, with the possibility to opt for an internet broadcast so your parents and friends can be directly present in the wedding thanks to a webcam in the room (or until six months after the wedding). It is possible to personalize your ceremony with floral decorations and music of your choice. At the end of the ceremony, the wedding hall along with its balcony offers a magnificent setting for some photographs. Venice has more than 200 churches of different styles and eras – real architectural and artistic masterpieces. 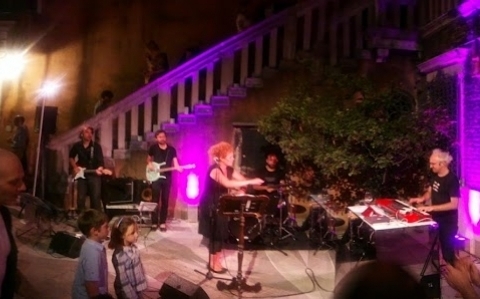 If you wish to unite religiously, Venice-etc will offer you a large choice of churches adapted to the wedding that you imagine: a small church for an intimate wedding, or a more majestic venue for larger celebrations. To marry religiously in Venice, you must firstly meet the minister of your place of residence; it is he who will gather all the necessary documentation and with whom you will carry out the marriage preparation. 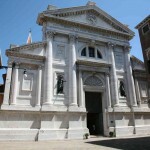 Venice-etc will then connect you with the Venice curia along with the minister who will celebrate your wedding. Together, we will prepare a personalized ceremony with the biblical texts you will have chosen, the songs and musical accompaniment. We will create the atmosphere that corresponds to you to make your union a magical moment around your faith. What Else ? Get A Personnalised Quote Now !